Frustrated marketers: During the last few years I’ve learned Internet Marketing from the Best! I’m paying forward and helping a team to build their own personal businesses online. These business can be Network Marketing, Brick and Mortar or we can build a new business from scratch. I work with one of the legends of the Internet Marketing field. She is my mentor and she can be yours too. I can coach you and together you can leave your frustration and overwhelm behind! 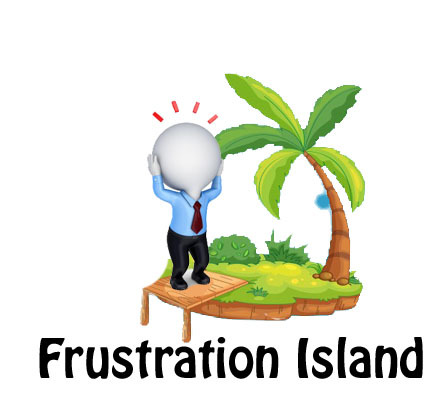 Frustrated Marketers – Did you Come Online for Leads? Let me tell you – I walked down that road. With 40 plus years of computer industry experience, I figured that wasn’t anything having to do with computers that I couldn’t learn if I immersed myself deep enough. After all this has worked over and over for decades. Internet Marketing isn’t like anything I’ve done before. It is a quagmire with a hundred or a thousand sub-areas, each of them growing a a phenomenal rate. Add to this the Bright Shiny Think Syndrome (Oh That Looks Interesting!) and thousands of expert copywriters preying on newcomers to the field and you have a MESS! Watch the video (It’s only a couple of minutes long) and you’ll see what I mean. If you watched the video (you did didn’t you?) you know that I realized that I needed a mentor. I partnered with one of the legends of Internet Marketing. I on my way to being one of her certified trainers and I am actively coaching entrepreneurs to build their own business. There is a Free Webinar coming up this Thursday Evening. Ann Sieg will host this Webinar and introduce you to her NEW program the Daily Marketing Coach Mentoring System. If you are one of the thousands of frustrated marketers working hard to make a go of it online. This program is you solution. You will work hard and you will learn Internet Marketing – with my coaching and Ann’s mentoring. I love your passion and can tell by how you write that you are both passionate and gifted at what you do. Keep up the good work! Gretchen recently posted..What are you Waiting for? Why thank you Gretchen. I sincerely hope you project is going well. I know Robyn and I have worked on our project. Sometimes it is very easy and sometimes not so much. Never BAD, just not so easy. Glad I could help. seriously! I know what you mean about the quagmire. Part of the problem/challenge is that there is so much information out there and a large quantity of it is pure junk. Scams, spam, other people trying to get rich off you and me however they can. Having a mentor is great because you get someone who can ferret through the mess and help you from experience. having someone who you can trust is the best way to move forward and avoid the pitfalls. Thanks for the complement about my voice. I do appreciate it. It was only about 5 years ago (and I’m over 60) that I found that people like to hear me sing. Who knew? I agree. One of the pulls of Network Marketing and Attraction Marketing is the potential to help people AND be compensated. I said I would NEVER be a salesman. Then one day I took a training called Sales Dogs. The author said there were types of salesmen. The Bulldog (doesn’t care – just make the sale, used car salesman is what I refuses to be. Now the Lab Retriever who bends over backwards and the Chihuahua who want to be able to give you ALL the answers you need to really benefit from the product. Those I could get behind without feeling that I had betrayed someone.